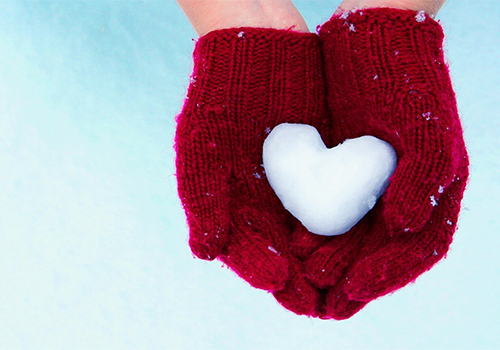 Valentine’s Day is the day well noted for sending handwritten notes between BFF’s or lovers, expressing sentiments of affection, or sending cards that simply say, ‘I love you.’ According to the Greeting Card Association, 145 million Valentine’s Day cards are sent each year. This Valentine’s Day, Barnes & Noble College bookstores are putting a modern twist on this expression of love. 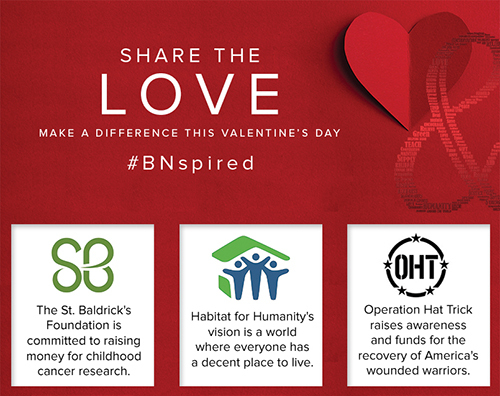 Through the Share the Love sweepstakes taking place on campuses nationwide between February 8-15, anyone visiting a Barnes & Noble College campus store can participate by using social media to send a message of kindness to help make a difference for their charity of choice. The sweepstakes is open to everyone. To participate, students must fill out an entry form, select one of the following three charities: St. Baldrick’s Foundation, a charity that funds research for childhood cancers; Operation Hat Trick, supports and funds the recovery of America’s wounded service members and veterans; and Habitat for Humanity, dedicated to providing affordable housing; then use the hashtag to tell others about their experience. The winner will receive a $100 Barnes & Noble gift card and the winner’s chosen charity will receive a $1,000 donation (with $500 donated to each of the remaining two charities). “We’re asking the participants to share their act of love on Facebook, tweet it out to their friends and followers on Twitter, or post it on Instagram,” explains Sandra Webb, Barnes & Noble College Social Media Specialist. “One of the biggest initiatives we use social media for is to help students succeed in school,” reveals Webb. 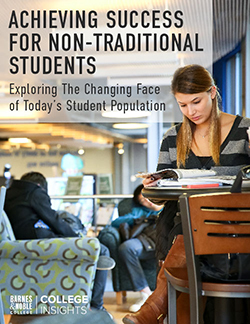 Each semester, Barnes and Noble College uses a variety of social media channels like Facebook, Twitter, Instagram, and even the 6-second video Vine to assist with affordable textbook options, merchandise sales, promoting local causes, highlighting author events and soliciting feedback. 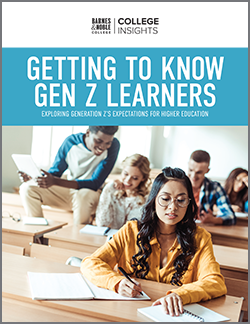 “Students live in the social realm, so it’s important to connect with them where they live and communicate — and to offer them the information they need, so they can make informed decisions,” notes Webb. In conjunction with the Share the Love sweepstakes, campuses with a Barnes & Noble café, will also run a Ferrero Rocher promotion. 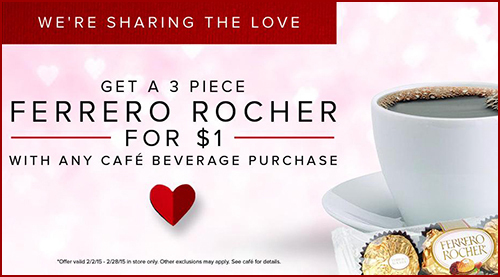 Anyone purchasing a beverage at the café can also receive a three-piece package of Ferrero Rocher chocolate for just $1. Different versions of this promotion will run on campuses that do not have a café.